- very big boat and totally new. 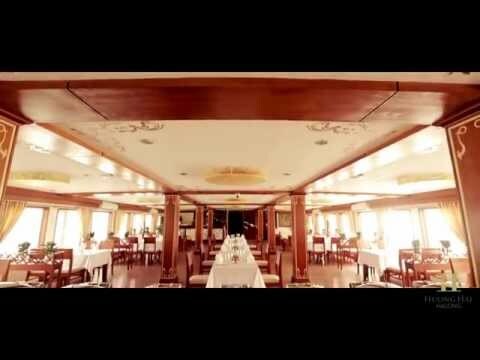 - Ms Nga in Huong Hai Sealife Halong Cruise is very helpful arranging my trip from the beginning to the end. Whether it is necessary to stop on the way to and back from Halong bay at a place where you can buy overpriced souvenirs for half an hour each may remain questionable, but our impression is that all tour operators do it. We were absolutely happy with Sealife Cruise and would use them for other trips as well if we had more time! 100% recommendation!